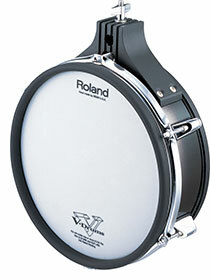 The Roland Drum Pad PDX-100 is a Lightweight 10″ Mesh Head V-Pad for V-Drums. PDX-100 has an advanced dual-trigger sensor, a metal rim hoop, a tensionable head, and a compact casing. For perfect positioning, the dual-mounting capability increases your setup versatility. 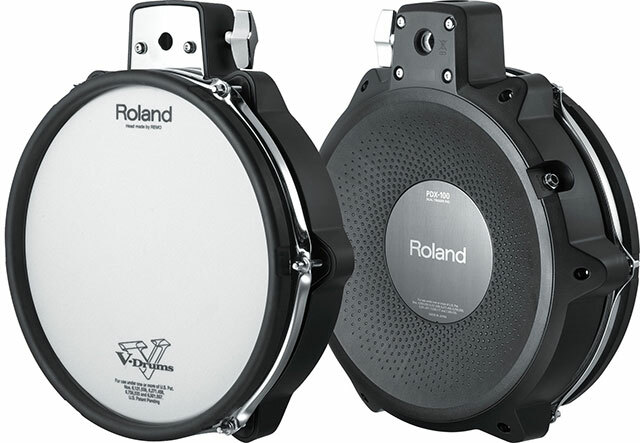 Roland Drum Pad PDX-100 is ideal for use as Snare and/or Foor Tom Pad with the TD-30K, TD-25KV, TD-15KV, and other Electronic Drum Sets. 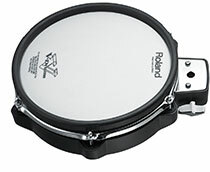 Roland PDX-100 is compatible with the MDH Pad Mount series as well as the MDS Drum Stands series. Notice: MDH Pad Mount, MDS Drum Stands are sold seperately and thus not included. PDX-100 Is Delivered With: Connection Cable, Drum Key and Owner’s Manual. 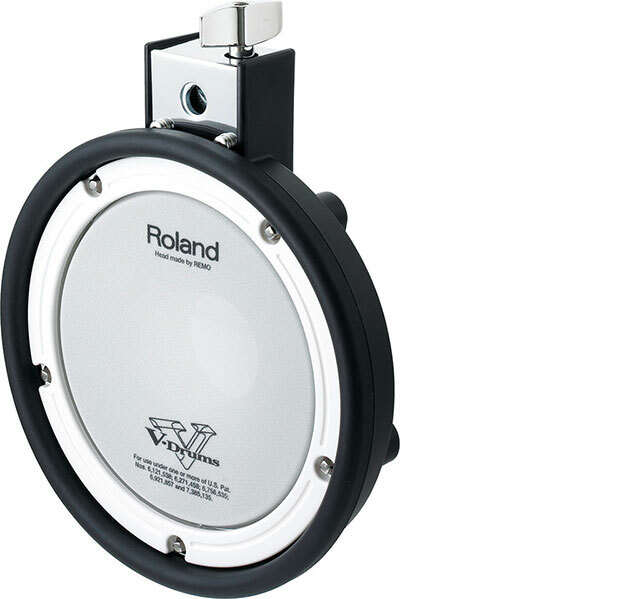 Roland Drum Pad PD-105 – The First V-Pad With Rim Shot Capabilities! 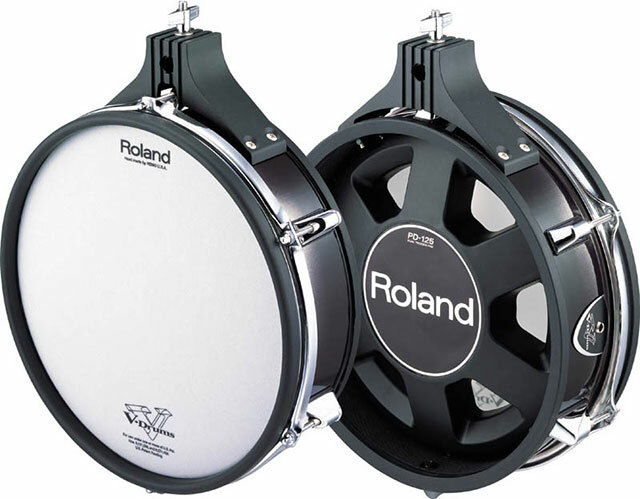 How do you improve the Roland Drum Pad PD-105 upon the World’s Most Popular Electronic Drum Pads? Start by designing a brand new sensor mechanism for more accurate triggering, and then give ´em a cool black finish! The 10-inch Roland Drum Pad PD-105 Mesh Head V-Pads features Roland’s latest Dual Zone Technology (aka Dual Triggering). 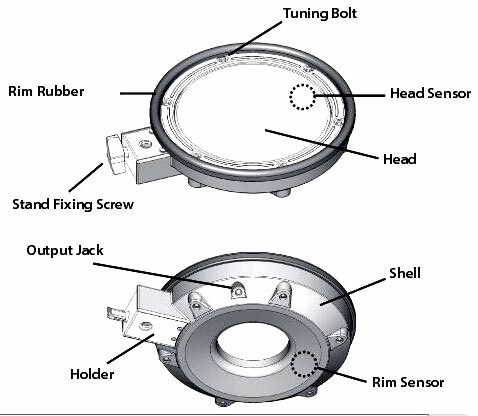 Resulting in more even and accurate sensing between the head and rim. The PD-105 Drum Pad comes with: Owner’s Manual, Connection Cable and a Drum Key. 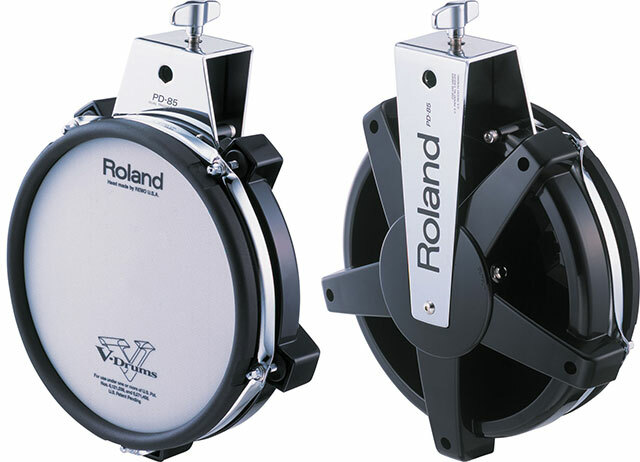 *Rim triggering on toms requires Roland TD-20, TD-12 or TD-9 Sound Module. PLEASE NOTICE: The Sound Modules Mentioned Above (TD-20, TD-12 and TD-9) Are NOT Manufactured Anymore. You Should Consider Buying One Of Roland’s Current Sound Modules instead. 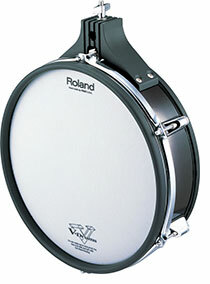 Snare/Tom pad with Mesh head for superior playing feel and response. The PD-105 contains a head and rim sensor, for superior expressiveness. The potential of the PD-105 is realized most fully when used with the TD-25 percussion sound module. You can change the nuance of the sound with both rim shots and head playing position. Brushes (nylon) can be used for brush playing. Do NOT use metal brushes! Width: 280 mm (11-1/16 inches). Depth: 360 mm (14-3/16 inches). Height: 112 mm (4-7/16 inches). Weight: 2.3 kg (5 lbs. 2 oz.). Roland Drum Pad PD-125 Our Most Sensitive V-Pads Ever! 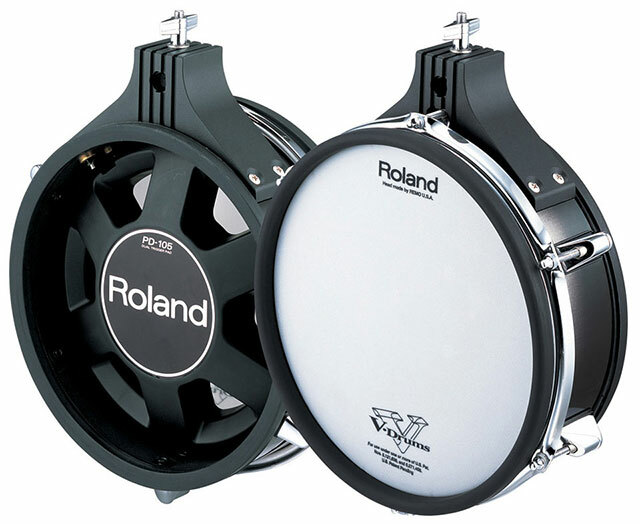 How do you improve the Roland Drum Pad PD-125 upon the World’s Most Popular Electronic Drum Pads? Start by designing a brand new sensor mechanism for more accurate triggering, and then give ´em a cool black finish! 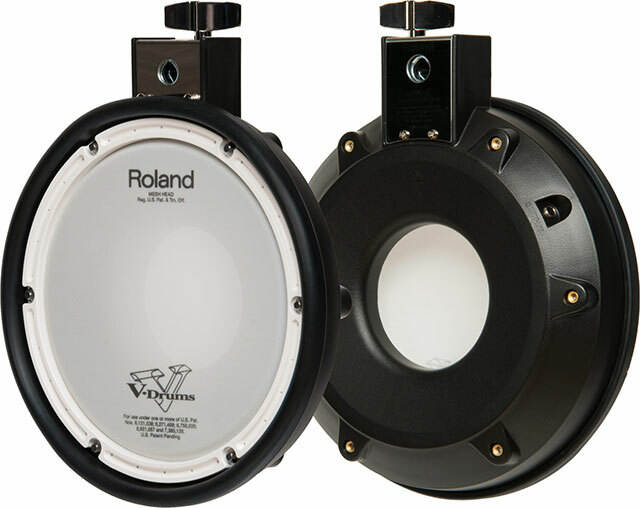 The 12-inch Roland Drum Pad PD-125 Mesh Head V-Pads features Roland’s latest Dual-triggering Technology (aka Dual Zone). 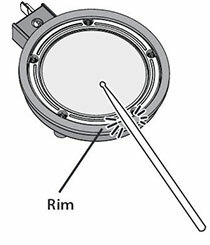 The PD-125 Drum Pad comes with: Owner’s Manual, Connection Cable and a Drum Key. PLEASE NOTICE: The Sound Modules Mentioned And Shown Above (TD-20, TD-12 and TD-9) Are NOT Manufactured Anymore. You Should Consider Buying One Of Roland’s Current Sound Modules instead. The PD-125 contains a head and rim sensor, for superior expressiveness. 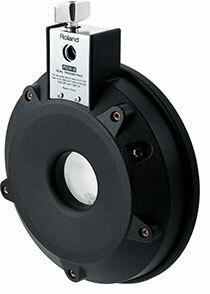 The potential of the PD-125 is realized most fully when used with the TD-25 percussion sound module. Width: 330 mm (13 inches). Depth: 420 mm (16-9/16 inches). Weight: 2.8 kg (6 lbs. 3 oz. ).